Item No: A7223 Description: Swedish Gustavian chest of drawers Designer/Maker: Year: 1780’s Origin: Sweden Material: Later paint Dimensions: W= 106 cm D= 44,5 cm H= 90 cm AQFBML Follow us. Item No: 8518 Description: Chest of drawers Designer/Maker: Year: 1960’s Origin: Sweden Material: Teak Dimensions: W= 60 cm D= 30 cm H= 52 cm AIHT Follow us. Item No: 4621 Description: Chest of drawers Designer/Maker: Year: 1960’s Origin: Denmark Material: Teak, metal Dimensions: W= 86,5 cm D= 40 cm H= 37 cm Follow us. Item No: 4618 Description: Chest of drawers Designer/Maker: Year: 1960’s Origin: Sweden Material: Teak, birch Dimensions: W= 80 cm D= 30 cm H= 61,5 cm Follow us. Item No: 4295 Description: Chest of drawers Designer/Maker: Year: 1960’s Origin: Sweden Material: Teak Dimensions: W= 60 cm D= 32 cm H= 60,5 cm Follow us. Item No: 4148 Description: Chest of drawers Designer/Maker: Year: 1960’s Origin: Sweden Material: Teak Dimensions: W= 81,5 cm D= 41,5 cm H= 71 cm Follow us. Item No: 9683. SOLD. 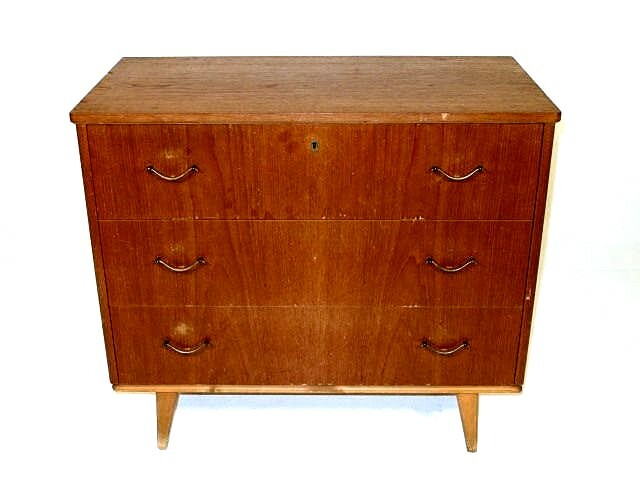 Description: Chest of drawers Designer/Maker: Year: 1960’s Origin: Sweden Material: Teak Oak Dimensions: W= 74 cm D= 41,5 cm H= 78,5 cm AQSLD Follow us.